The concept of open source model which is a huge success in the software industry holds great promise for the pharma industry as it strives to lower the cost of drug discovery and improve the bottom lines. 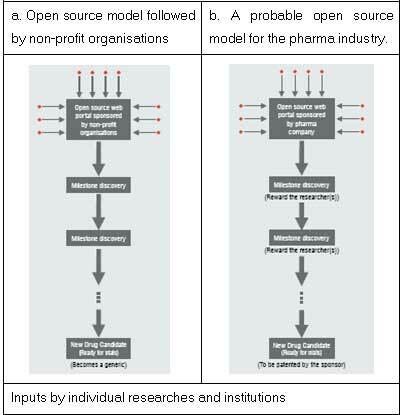 Open source model in the pharma industry is currently used by non-profit organisations and governments to discover drugs for diseases neglected by industry. It is hoped that the open source model can be suitably adapted by the pharma industry and used as a sustainable business model to discover cost-efficient drugs, and to offer other tangible benefits that will improve bottom lines. The pharmaceutical industry is yet to find a cure for certain life-threatening diseases prevalent in the tropical regions of Asia and Africa. These include Kala-azar, African Sleeping Sickness, Malaria, Tuberculosis, Chagas, Schistosomiasis, Lymphatic Filariasis etc., diseases commonly found in tropical regions. Such diseases, sometimes highly infectious, continue to claim thousands of lives in these parts of the world. While vaccinations and other preventive methods have been used to keep these diseases at bay, little or no research was undertaken to develop drugs and therapies to treat them. The apathy of the major pharma companies to fund such research is the inability of the patients in these regions to afford the high prices for such drugs. Taking the drug discovery process to the open source table promises great potential in finding cures for such hitherto neglected diseases. Open source, though new to the pharma industry, has been tried and tested, notably in the software industry where it has worked wonders. The robust yet cost-effective operating system, Linux, is a testimony to that. Supporters of cost-effective drug discovery have taken a cue from the open source model that led to the development of Linux, and portend that its adoption would augur well for pharma research. The idea of open source was first used in pharma and biotech industries in bioinformatics to produce tools to understand the mechanics of proteins. This was followed by the Human Genome Project and other initiatives where open source model made further inroads into the pharma and biotech domains. For instance, the Human Genome Project used the services of hundreds of biologists, microbiologists and other researchers worldwide to understand and sequence the human genes. Other major open source initiatives include Tropical Disease Initiative (TDI), Collaborative Drug Discovery (CDD), Innocentive etc. TDI, as the name implies, focusses on tropical diseases like Malaria, Tuberculosis, Schistosomiasis etc. and works in partnership with The Synaptic Leap, a virtual platform that provides the technology support to carry out research while TDI provides intellectual and scientific support. Open source drug discovery essentially brings researchers and scientists, from industry and academia, together onto a single virtual platform with all the necessary tools and resources at their disposal. A list of medical problems (for which drug candidates are to be developed) are identified and posted on a specially developed website along with necessary tools and resources like compound libraries, biological information, screening facilities etc. Anyone can use these resources, propose insights and put forward their inputs. The inputs can range from identifying targets to lead optimisation. In this way, collaborative drug discovery process is accelerated through the open source model. Pre-clinical and clinical trials are usually outsourced by the sponsors of the research to competent players from low-cost areas. Drugs so developed can be used to treat patients in the third world countries where a majority of the patients live below poverty line. The issues of IP and patents are dealt by different players in different ways. In any case, set procedures to tackle the issue of intellectual property in an open source drug discovery model are yet to take shape. Cost reduction is the prime benefit in an open source model. R&D costs can be reduced considerably with the voluntary participation of researchers. Hence, the drugs so developed will be comparatively cheaper. Further, these drugs can be licensed to generic drug makers and contract manufacturers who compete for market share by trimming costs and keeping drug prices low. The discovery-to-market time of the drug would also be reduced as more researchers and institutions give much of their time to work on drug development. Traditional drug discovery requires a closed-door environment. For security reasons, only the researchers working for the company have access to the research facilities. On the contrary, an open source model encourages inputs and insights from as many individual researchers as possible. It allows hundreds of scientists from all corners of the world to share their experience and expertise, and infuse speed and flexibility into the discovery process. The benefits of the open source model have prompted the Indian government to use this model to develop cost-effective and novel drugs for neglected diseases. The Centre for Scientific and Industrial Research (CSIR), a state-funded apex body responsible for research & development activities, has taken an initiative in this direction. S K Brahmachari, Director General of CSIR, has been instrumental in piloting this initiative. A grant of US$ 34 million has been sanctioned for the project that uses open source model to discover drugs for neglected diseases. CSIR's initiative, named Open Source Drug Discovery (OSDD), targets neglected diseases that are widespread in India. Though similar to Tropical Diseases Initiative and The Synaptic Leap, OSDD differs in certain aspects. For instance, under TDI, IP rights of the drugs discovered would rest with Virtual Pharma, a group of non-profit venture capital firms. In contrast, under OSDD, the drugs developed would immediately become generics and hence the question of IP and patents does not arise. Another difference lies in providing incentives to participants. Though the participation is voluntary in both the initiatives, CSIR is a step ahead as it encourages participation through its incentive scheme. With research on tuberculosis as its maiden project, OSDD has plans to extend the open source model to discover drugs for AIDS. A first of its kind, OSDD has been developed through Public-Private Partnership (PPP) that includes the likes of Sun Microsystems and TCG Lifesciences contributing to the initiative. If OSDD is successful, it would attract a lot of sponsorships for its future projects, making it self-sustaining in the long run. In the light of these developments, is there a need for the pharma industry to review its business models? The answer is an emphatic yes. The traditional Risk-Innovation-Reward model followed by the pharma industry has stopped fetching timely rewards, at least for now. Further to this, the concept of personalised medicine is slowly evolving in the pharma industry and is catching up fast in the healthcare industry. 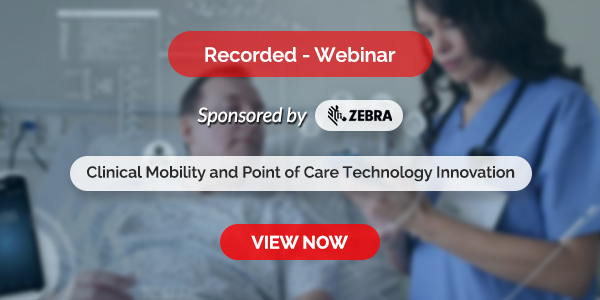 Decision-makers in the healthcare industry are seriously evaluating patient-centric strategies and in the not too distant future, these strategies will be implemented industry-wide. As a consequence, developing drugs customised to target populations and genetic traits will soon become the norm. In such a scenario, the current "one-drug-fits-all" concept would be outdated and the traditional innovation-based business model will no longer hold good. Therefore, in enlightened self-interest, pharma majors will need to give serious thought to the open source model, and tweak it to suit their requirements. Open source drug discovery brings with it many advantages to pharma companies and patients alike. The biggest advantage of this model being huge cost reductions, pharma companies can leverage the open source model to outsource the drug discovery process and save a fortune in the process. Some costs thus saved could be passed on to produce and market the final drug at much lower prices. Thus, open source proves to be the most viable model for discovering life-saving drugs. Further, the model can also be used to discover lifestyle drugs that pharma companies develop and market endearingly. The Open Source Drug Discovery (OSDD) initiative is the brain child of Dr S K Brahmachari, Director General, CSIR. The initiative took off as public private partnership with the objective of creating a Team India Consortium. The public private partnership includes TCG Lifesciences, Sun Microsystems, Institute of Genomics & Integrative Biology, Sky Quest Labs and others. OSDD aims to create a Team India Consortium with global partners from public and private sectors lending their hands in cause of developing cost effective drugs for the third world countries. This initiative encompasses all the activities in the drug discovery process from identification of druggable nontoxic targets, in vitro and in vivo validation, in-silico screening of small molecules, lead optimisation, pre-clinical toxicity and clinical trials. Till now, the issue of patents has been a major hurdle that has kept the pharma industry away from this model. Bernard Munos Advisor, Corporate Strategy at Eli Lilly had proposed in 2006 that open source models can also generate intellectual property. He pointed out that most open source activities happen at the pre-commercial R&D stage and these activities are similar to exchange of ideas among scientists. The scientist who makes a breakthrough publishes the findings and files for a patent. This theory of Munos can be extended further with cue from the publishing industry. One can compare the drug discovery activity using open source model with that of the publishing industry-pharma companies can be compared with publishers and the researchers with those of the authors publishing their content. The authors from different fields get their articles published in various publications, but the copyrights of the published articles mostly rest with the publisher. Similarly, the pharma company that sponsors the research can retain the IP while rewarding the researcher(s) handsomely. All the researchers whose contributions are crucial to the drug discovery can be identified through appropriate metrics and compensated through attractive rewards. The pharma company that wishes to discover a drug can throw open the research in an open source forum or launch its own website with the necessary tools to support the research. It can also announce payments / rewards for every credible milestone result that can carry forward the research. Thus, the pharma company gets the research running and at the same time remunerates the efforts of achievers. In this way it can own the intellectual property rights for the drug so developed and can file for patent. As an alternative, the pharma company can also share the patent with the researcher(s) crucial to development of the drug. Sharing of the patent can reduce the difference of opinions between the researchers and the sponsor, if any. Open source research, therefore, brings down R&D costs drastically and allows pharma companies to maintain same profit levels despite the low premiums the drugs would command. The resulting market volumes would offset the premiums while the huge untapped market potential would fuel the future growth. While Munos' model of open source drug discovery is inclined towards Public-Private Partnerships (PPP), this model addresses the concerns of commercial pharmaceutical companies that wish to reduce their drug discovery costs while benefiting from a global talent pool. Open source activities in drug discovery process can happen only until a drug candidate is confirmed (i.e. until lead optimisation). Once confirmed, the subsequent stages-pre-clinical and clinical trials-can be outsourced to low-cost centres in India, China and other Asian countries where cGCP-compliant CROs will help move the drug from the lab to the market. The pharma industry is gradually realising the potential of open source model. As a result, traditional mindsets have begun to change. The success of the present initiatives like TDI and OSDD will only attract more players onto this turf. Adopting open source model can help pharma companies to develop cost-effective drugs for both neglected as well as lifestyle diseases. Further, this model can help in bringing the concept of personalised medicine closer to the masses. But the rate of adoption by the pharma companies depends on how quickly they change their mindsets and tread towards realising the benefits of this model. 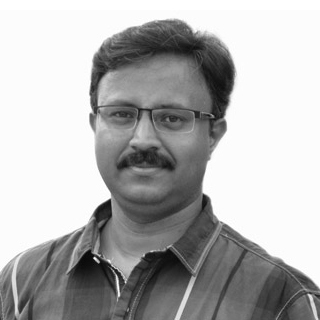 Jagadeesh Napa is the Assistant Editor of Pharma Focus Asia.